PRODUCTION ZONE: This wine is produced our vineyards in the district of Paderno Franciacorta, Rodengo Saiano, Erbusco and Cologne. VINE AND VINIFICATION: The Franciacorta D.O.C.G. 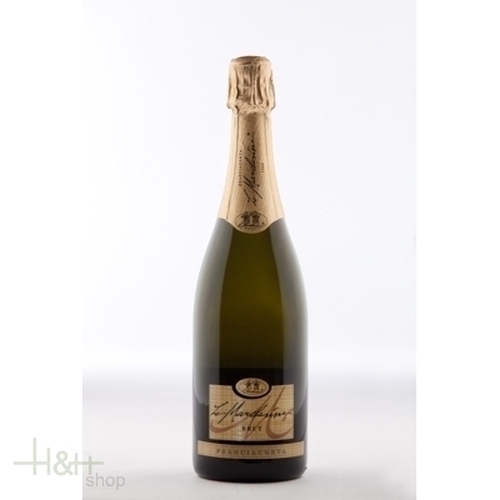 Brut is an assemblage of Chardonnay in clonal selection, Pinot bianco and Pinot nero. At harvest, the grapes are hand picked and placed into small boxes. The whole grapes the under go a very slow and soft pressing. Fermentation occurs under controlled temperature (17-19 degrees celsius) with indegenous yeast's in order to maintain the flavours and the aromas of the Franciacorta. After the fermentation the wine is placed in stainless steel tanks. During the months of March and April the wine is bottled and then process to induce the sparkling occurs. The bottles are the bulk stored in temperature controlled areas (12-14 degrees celsius) for at least 24 months. During this period of time, the Franciacorta D.O.C.G. Brut develops and assumes its caracteristics of flavours and aromas together with the finest and smallest perlage. The wine is ready for the final stages "remuages degorgement, dosage and labelling". ORGANOLEPTIC CHARACTERISTICS: The colour is yellow with refrelections of green. The perlage is fine and persistent. The bouquet is distinctive and compact, followed by a dry taste and finish abundant in elegance and full flavours. ALCOHOL CONTENT: 12 - 12,5% vol.